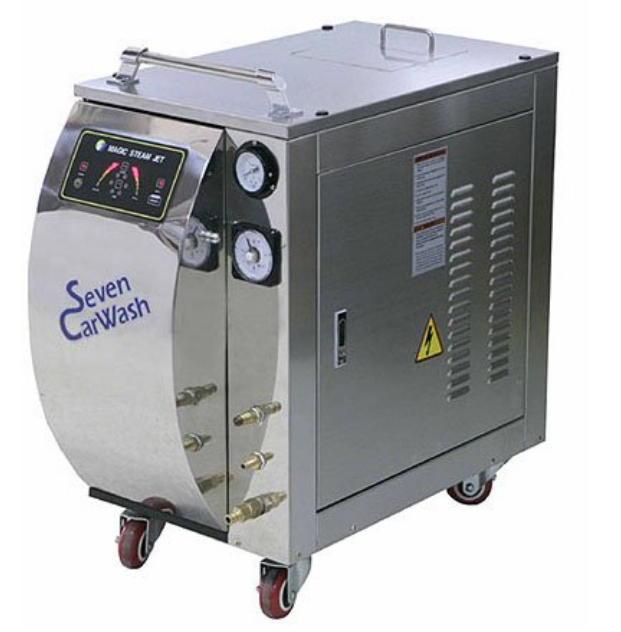 SP7000 cleans dusts and oil stain deposited on a car with high pressure and high temperature steam (8kg/cm2) generated by 5KW power of electric stream boiler. As long as water is supplied continuously, it is capable of continuous car washing with only once operation. This is a model available in indoor or power supplied places such as a car wash place or a car detailing shop. In addition, hot steam serves a double purpose accompanying sterilization effect. Compared with the traditional tunnel type method having required considerable installation and maintenance cost, this product guarantees inexpensive and innovative space saving. We recommend this product to customers who want a new car washing solution positively.